I’ll admit that was my immediate reaction when I was told about the North Carolina Benefit Corporation Act, or SB 26, which is now in the House Judiciary Committee. Apparently it was also the reaction of many of our supposedly “conservative” Republican state senators: the Senate bill passed on a 50-0 vote. But for some reason I couldn’t stop wondering about the legislation, and a Latin adage kept popping into my head: “Cui bono?,” which fittingly enough means “to whose benefit?” Anyone who’s studied the corrupt history of tax-exempt foundations and non-profit organizations knows immediately that the only reasons for such an open-ended and convoluted piece of legislation are that there’s money to be made, an agenda to be fulfilled, or both. This became even clearer when I discovered there’s absolutely nothing stopping corporations from drafting charters that would make them de facto Benefit Corporations by specifying that one of the corporate purposes is to create a “general public benefit” and then giving its director greater protections from profit-mad, torch-and-pitchfork-wielding shareholders. In Part 2 of this series, I wrote about the only viable “third-party standard” currently in existence: the B Corporation™ created by a non-profit group called B Lab. 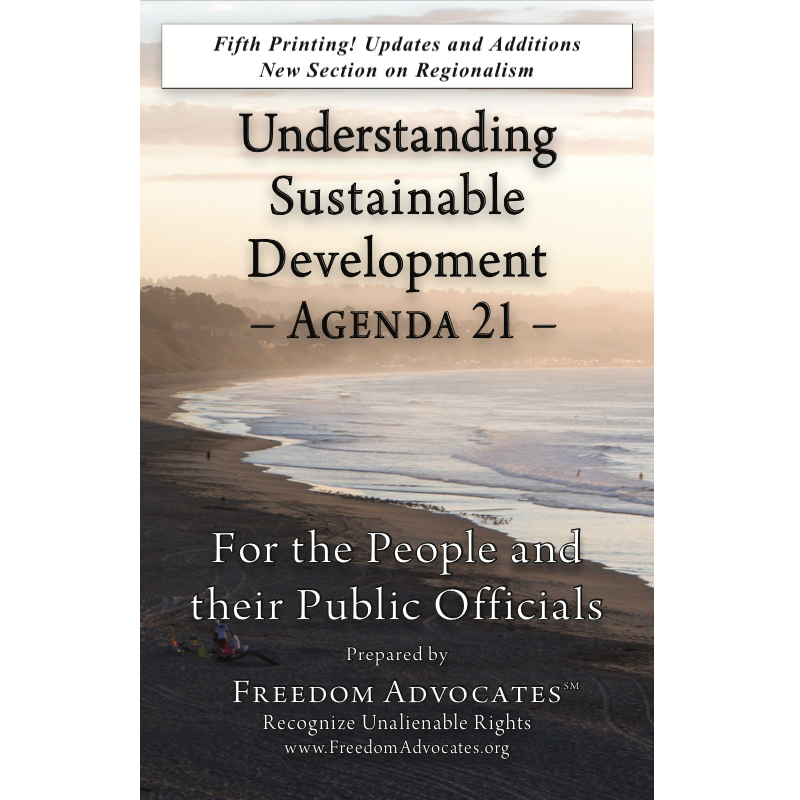 When you examine what’s involved in garnering the cherished B Corporation™ designation – as well as the promises being made by the people that created the standard – you begin to realize this is simply a backdoor method of implementing Sustainable Development/Agenda 21 policy without our elected officials realizing what they’re approving. B Corporations must provide documentation for only 10% of the answered questions on the Impact Assessment, and then only after they’ve been certified. When contacted by e-mail, B Lab would not confirm (i.e., they never responded) whether every company had to verify answers to the same 10% of questions, or if it was up to B Labs’ discretion as to which 10% had to be verified. If it’s the latter, a strong case could be made that B Lab has the power to make it easier for some companies to become B Corporations™. Onsite reviews “generally last between 4-8 hours depending on the size of the company.” It’s hard to believe that any type of comprehensive audit could possibly be conducted in this amount of time even at small to mid-size businesses, particularly given the nature of some of the questions in the Impact Assessment. The only way a company can fail an audit is “if B Lab staff determines that a company has intentionally misrepresented themselves in their survey answers.” But SB 26 doesn’t seem to place much importance on a Benefit Corporation actually creating… you know… benefits. An analysis of the legislation says “the director is… not liable for failure of the benefit corporation to create a general or specific public benefit.” If the director of the corporation isn’t liable for not creating the “benefit” that’s supposedly the purpose of the corporation, then who is??? And since this whole to-do is supposed to be about “general public benefits,” just what does the “Impact Assessment” consider those to be? Serving the underserved: $9.95 per month, activation fee between $3.95 and $14.95 and $2.50 ATM fees starting with the third transaction each month. Now THOSE are benefits! But the glaring point here is that this section of the Assessment isn’t detailing the “general public benefit” referred to in SB 26. These are the specific public benefits a Benefit Corporation might elect to have in addition to the general public benefit it must have. You can tell at a glance by simply pulling up SB 26 and looking at � 55-18-3 (a) 7, which mirrors the above categories. So our state legislature is considering a bill that allows a third-party to define a “general public benefit” when the phrase doesn’t even appear in the third party’s “standard” – which can only lead us to conclude that the Assessment as a whole defines “general public benefit.” And when we look at the various categories of the Assessment and how many points are available to be earned in each, we can see that B Lab’s idea of “general public benefit” is a bit different from what most of us might think of when we hear the phrase. “Employees” deals with benefits, employee ownership, flex scheduling and career options and so forth – good for workers, yes, but certainly not “public benefits.” “Environment” is the usual claptrap you would expect: “carbon footprints,” renewable energy usage, water usage, “environmental benefit models,” etc. These might be public benefits if you believe the propaganda regarding global warming, peak oil, and other hysterical scenarios. Don’t think the Community section will necessarily reveal a lot of “general public benefits,” either. While some of it’s about donating to charities and hiring “underserved populations” such as women and minorities (particularly grating to this writer, a white male who’s been “underserved” by the “employment sector” for two years), a lot is about the supply chain and whether the Corporation is sourcing materials from environmentally conscious, “fair wage” type suppliers – i.e., other Benefit Corporations. In short, the B Lab Impact Assessment – the “third-party standard” – isn’t really so much about a “general public benefit” as it is about Green Jobs, Green Energy, Social Justice, Economic Equality, and Racial and Gender quotas. But after all this, we’re still left with the nagging question: Cui bono? Who benefits? In the fourth and final (I promise) installment, the entire picture will come into focus. If you’re somehow still unconvinced this is a singularly bad piece of legislation, I strongly urge you to stay tuned for the grand finale. In the meantime, here’s a visual that might give you a hint what this is really all about. Tonight’s suggested reading: “The Future is Calling” by G. Edward Griffin. Part 1, Part 2, Part 4.